• Peter Parker and Wade Wilson are in their eighties and live in the same nursing home. Wait, WHAT?! • The madness of this book gets a brief interlude in the form of a story from the future! But this is not a throwaway issue! 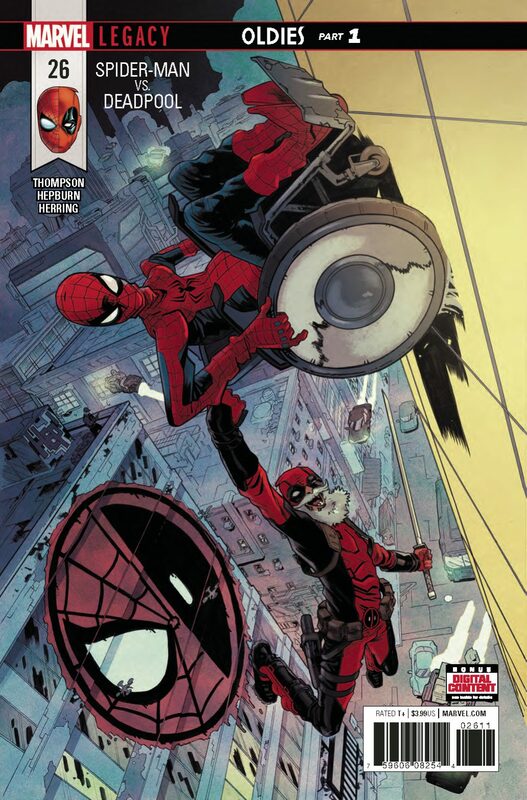 • This issue is the first prelude to the biggest Spider-Man and Deadpool story of all time that will come to fruition in JULY OF 2018! DO NOT MISS IT!